The Handley Page Victor was a large subsonic aircraft that served with the British Royal Air Force (RAF). The first prototype flew in 1952, and the aircraft was in squadron service from 1958 to 1993. The Victor was originally developed as part of the RAF's V-bomber nuclear deterrence force against the Soviet Union, during the early part of the Cold War. 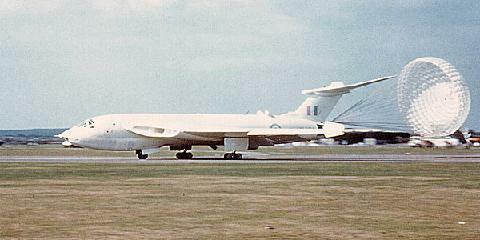 However the aircraft was later adapted to serve in the strategic reconnaissance and in-flight refuelling tanker roles. The Victor saw action, in the aerial tanker role, in both the Falklands War and the Gulf War.